The financial markets are undergoing profound change, with rising interest rates, geopolitical risks and a two-speed economy presenting new challenges for yield-seeking investors. Against this backdrop, mutual funds present an interesting option to diversify and grow portfolios. The topic of bond funds is especially pertinent given the current economic and geopolitical climate. While bonds are important regardless of the market cycle, they are especially important during periods of rising interest rates. That’s because bonds provide an important stop-gap against slowing economic growth and all the dangers that come with rising interest rates. This aptly describes the current monetary policy paradigm in the United States. Against this backdrop, it pays to have a competent set of criteria for evaluating bond funds. Follow our section on bond funds to learn more. There are several factors that go into selecting an appropriate bond fund. Below is a relevant breakdown of those factors. 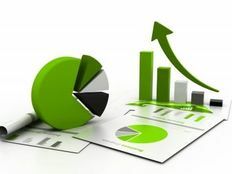 A bond’s credit rating is one of the most useful tools in determining the fund’s overall quality. Credit ratings are usually issued by one of the major credit rating agencies, such as Moody’s, Standard & Poor’s and Fitch. Bonds that are rated AAA are usually considered to have a higher quality than assets that contain lower ratings. Typically, AAA bond securities are U.S. Treasuries. For exposure to high-quality bonds, the Vanguard Long-Term Investment-Grade Fund Investors Shares (VWESX) is an affordable option. The fund focuses on high-quality corporate bonds as well as Treasuries and mortgage-backed securities. A bond’s maturity date is another important factor to consider. When combined with duration, this indicator can provide an overview of how much risk is built into the given asset. When it comes to bond funds, a maturity is simply the time until a bond’s principal is repaid. Duration, on the other hand, measures the asset’s sensitivity to rising and falling interest rates. A fund by the name of PIMCO Long-Term Credit Fund (PTCIX) provides exposure to fixed-income investments with varying maturities and quality. This is an ideal set-up for long-term investors looking to preserve capital while also benefiting from derivatives such as futures contracts or swap agreements. Investors searching for long-maturity bonds will also find them in the Vanguard Long-Term Bond Index Fund Investor Shares (VBLTX), which provides access to a low-cost, passively managed fund covering long-term investment-grade bonds. The bond’s coupon rate is the yield paid by the security on its issue date. In other words, it is a periodic interest payment that investors receive for the duration of the bond. Typically, coupon amounts are paid annually or semiannually. Knowing the coupon rate can help investors calculate interest rate payments over time. Many bond funds employ derivatives, which are contracts that allow investors to bet on the future path of interest rates. 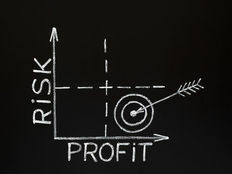 Unlike bonds, derivatives usually require only a small investment to enter the trade, which makes them highly attractive when employed through leverage. 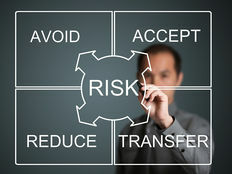 Therefore, knowing if and how a bond fund employs derivatives is crucial when evaluating a portfolio’s risk/reward ratio. The tax implications of your portfolio holdings must be evaluated before you begin any investment strategy. When it comes to bonds and bond funds, taxes apply in two ways: on income that’s distributed on a periodic basis and on gains that result in selling the asset for profit. The latter is commonly referred to as a capital gains tax. For bond mutual funds specifically, taxes on income depend largely on the types of securities held. Like other asset classes, taxes on bond holdings can be deferred if held in a tax-free retirement account, such as a 401(k) or IRA. Investors looking for tax-free income by way of a bond fund will find great value in the T. Rowe Price Tax-Free High Yield (PRFHX), which provides exposure to the intermediate high-yield segment of the muni market. The cost of your bond fund holding is another important consideration when deciding to invest in debt securities. When it comes to portfolio building, costs shouldn’t just be analyzed against absolute returns, but on the relative performance of the portfolio. Analyzing expense ratios, front- and back-end loads, and, where necessary, management fees is extremely important. The PRFHX fund discussed in the previous section also has a low barrier to entry in terms of cost. This gives investors access to an actively-managed bond fund at an affordable rate. The Vanguard Total Bond Market Index Investment Fund (VBMFX) also provides access to a broad selection of intermediate investment-grade debt at a very low rate. Bond funds provide investors with a sense of direction during times of uncertainty. Evaluating them doesn’t have to be complex if you know exactly what you are looking for.